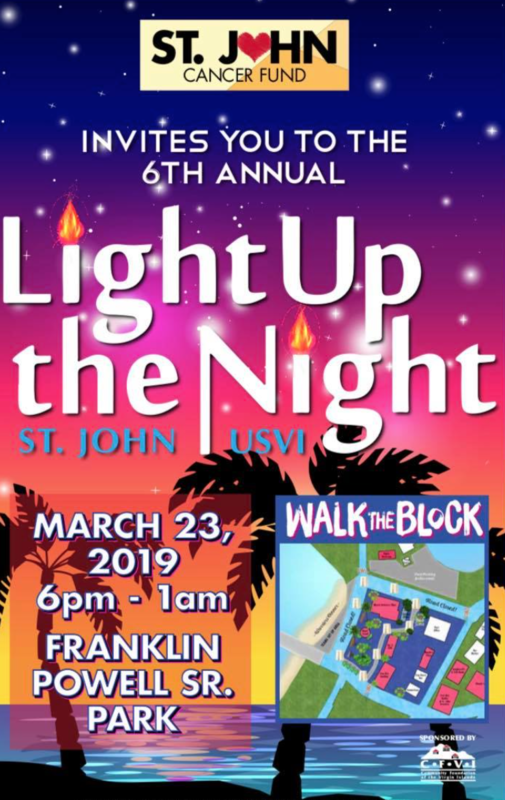 The 6thannual Light Up the Night event is this Saturday, March 23. It is a walk around Cruz Bay. It starts at 6PM and goes until 1am. It is meant to represent how cancer never sleeps. 100% of money donated goes directly to St. John residents battling cancer. The St. John Cancer fund was started by five St. John community members in 2012. One of those organizers shares why this event is so important. “It definitely means a lot for the community. Just overall it encompasses St. John as a whole. And unfortunately, as we all know cancer does effective everybody so it just is something having it on St. John and in this location specially so visitors and tourists alike can come out and support and again it just something that touches everyone personally so it is a very good response and we’re able to raise a lot of funds to help support those in need down here,” Tim Hanley, one of the founding members of the St. John Cancer Fund said. Again, Light up the Night in St. John is from 6 until 1am in Cruz Bay.